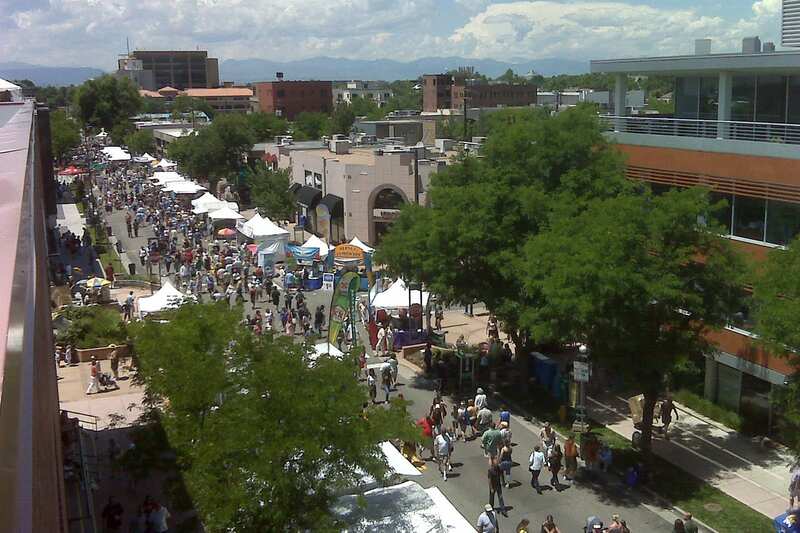 [Aerial of Cherry Creek Arts Fest. 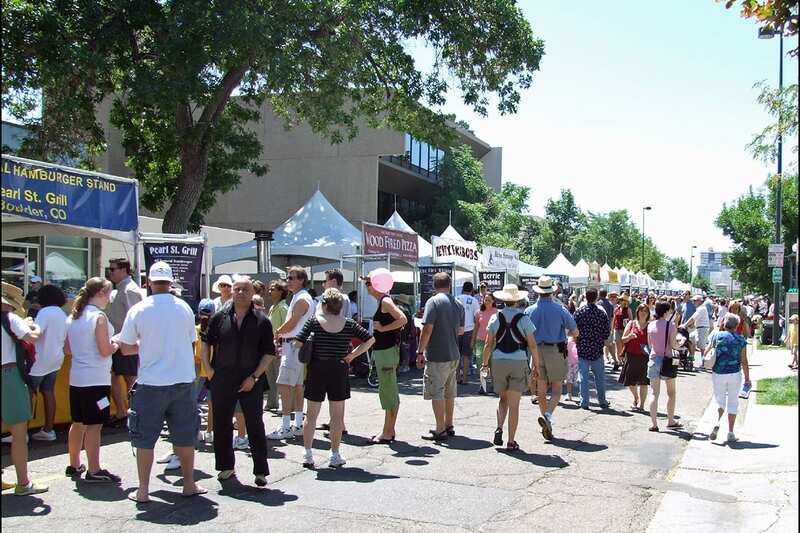 Photo: Gtj82] The Cherry Creek Arts Fest is a renowned, cultural celebration of visual, culinary and performing arts. It’s held for three days over around the July 4th weekend. This year it kicks off held Friday through Sunday, July 5th to 7th, 2019. 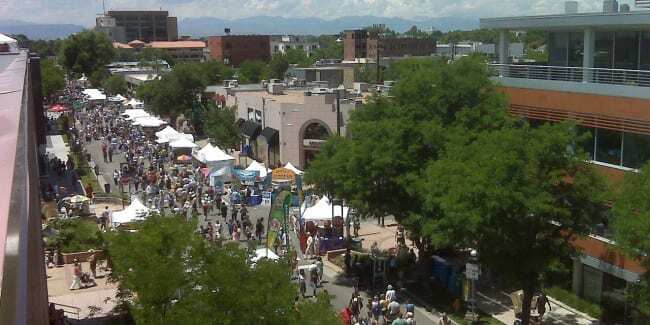 The festival, which draws artists from around the world, has been held every year since 1991 in the Cherry Creek neighborhood of Denver. 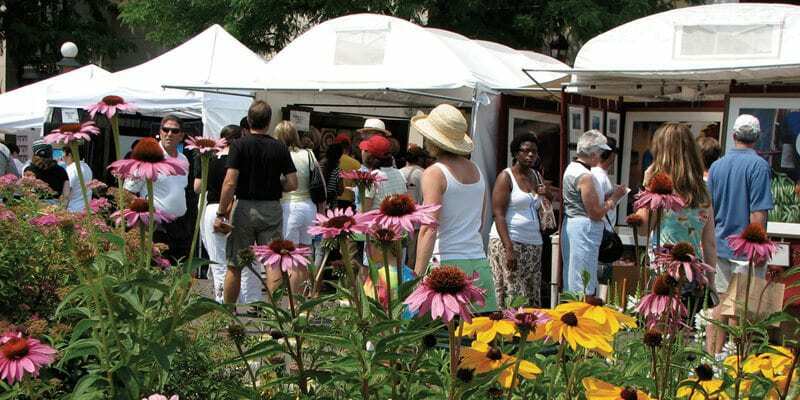 This year the Cherry Creek Arts Festival celebrates its 29th year, with more than 260 juried exhibitors. 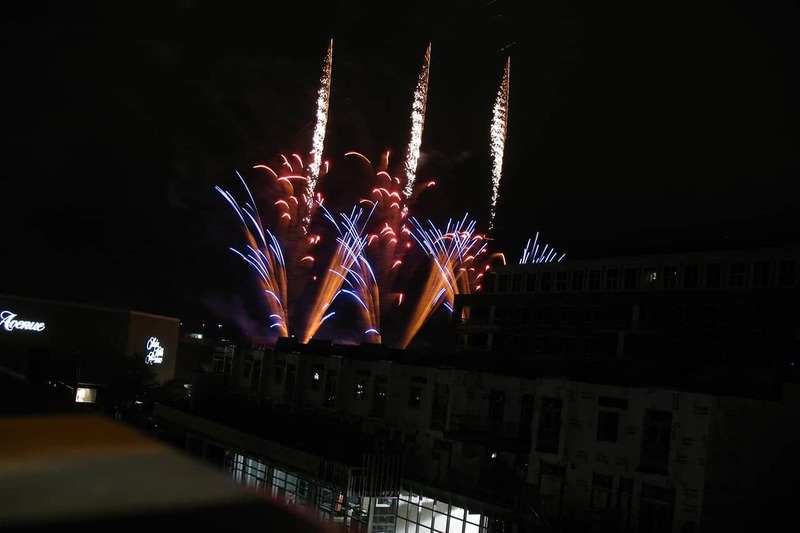 There’s live music, art performances and lots of local food and drink. Stages: All stages have performances Friday through Sunday. Shows begin as early as 10:30am, with the last concerts on the Beer Garden Stage from 8pm to 10pm, on Friday and Saturday. 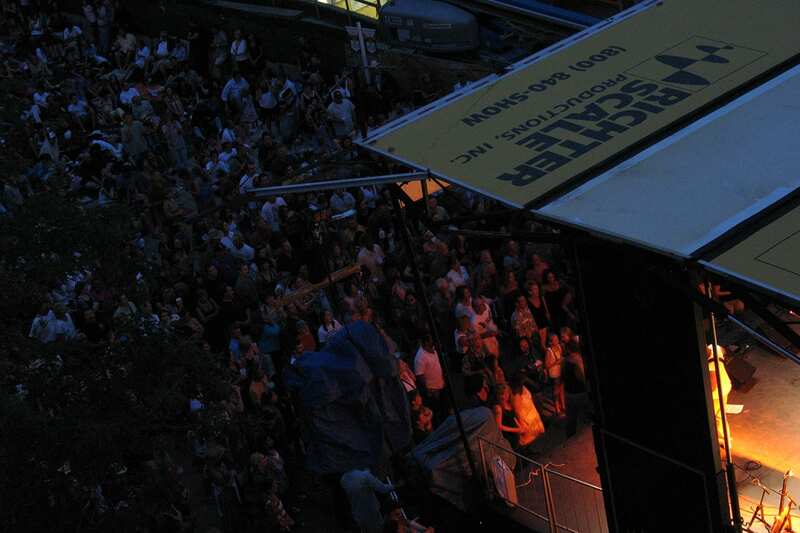 Beer Garden Stage – Live music and dance. Culinary Demo Stage – Celebrated chefs and culinary challenges. Janus Plaza Stage – Live music, from country and rock to pop and jazz. Art Lab – Presentations about art, from ink to ceramics. Cherry Creek Arts Festival in Denver.